The Department of Michigan Reconnect Committee in cooperation with ACO Hardware of Michigan, the Michigan Psychological Association Foundation and the Mackinac Island Tourism Bureau has launched another new and innovative program to better serve Michigan’s veterans, service members and their families. Calling all Michigan Legion, Auxiliary, and SAL Leaders and Future Leaders! Would you like to know more about the proper procedures for running a meeting? How about things you can do to make your meeting run smoother and shorter?Want to learn about the latest technology like MyLegion.org? Maybe you want to better understand online membership renewal? If any of those ideas interest you then you need to attend Michigan Leadership College! Give your Michigan Legionnaire a gift so they can "show their pride"
As you learned yesterday, the Supercommittee has failed. Late yesterday they gave up and announced their inability to come to a consensus on the $1.2 trillion in cuts. As you recall, this failure was contrary to our message on the hill just three weeks ago. The blaming has begun between the two parties, but in the end, everyone, no matter the party, no matter their status on the committee, no matter their elected position, failed. 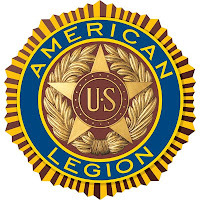 The American Legion Auxiliary, Department of Michigan and Lansing Area Flagstar Banks Team up to support Veterans. "Fly-a-Flag for a Vet" runs from November 1-November 23rd, 2011 in Lansing area Flagstar Banks. East Lansing, Okemos, West Saginaw, Cedar Street, Grand Ledge branches. Visit a participating branch and donate $1 and sign your name to a Fly a Flag card that will be displayed in the bank. 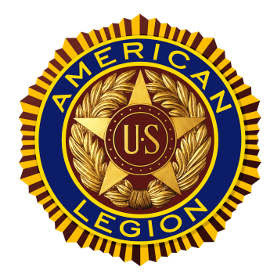 Donations go to support the Veteran Services programs of the American Legion Auxiliary Department of Michigan. Don't live in the Lansing Area, but want to Fly a Flag, send a check to ALA of Michigan, in the memo line write Fly a Flag. We will fly it here in the headquarters. LANSING, Mich. - Gov. Rick Snyder today reappointed Roger Donaldson of Holt, Karla Hudson of East Lansing and Brett Holt of Saginaw to the Barrier Free Design Board. The board reviews, processes or recommends barrier-free design rules. It also oversees any exceptions to the rules and appropriate equivalent alternatives. "These individuals have done a great job contributing to the board and will continue to ensure Michigan's buildings and infrastructure are safe and accessible to all our citizens," Snyder said. Women Veterans: Tradition, Service, Pride from Skip and Robin Coblyn on Vimeo. Great Lakes National Cemetery Director Richard Anderson will be at VFW Post 9283, 16200 Dix-Toledo, Southgate, MI - November 16th, 2011 at 6:00 p.m. Learn about the eligibility and requirements to receive veteran burial benefits. A veteran service officer will be on hand to answer any questions you may have on other VA benefit questions. ANN ARBOR, Mich.-- The University of Michigan Athletic Department will honor America's past and present military men and women on Friday November 11th, 2011 The Athletic Department will also honor our nation's servicemen and women during the Men’s Basketball game against Ferris State on Friday, November 11. All current and former Military members are eligible to receive a discounted rate of 4 tickets for $11. Additionally, the Men’s Basketball team will be hosting its 3rdAnnual Care Package Drive in conjunction with the University of Michigan Student Veterans Association. Donations can be dropped off at Crisler Arena in the concourse near Gate E, Gate A or Gate B.